Shopping for supplies, loading up backpacks, packing lunches, waiting at the bus stop – there are some things that never change. You may also remember the feeling of walking into class on your first day and being immediately overwhelmed with the things you were expected to remember from the grade before. It had been a whole summer! How on earth were you supposed to know your multiplication tables? Or who wrote the Declaration of Independence? That was information you hadn’t needed in months. And yet there you were in the classroom once again, expected to know everything you’d already been taught, along with picking up all the new information they were going to throw your way. Was it fair? Maybe not. But the fact remained the same – you learned those things for a reason and they were only going to continue to help you going forward. The same thing applies to the knowledge you’ve learned during your time as a real estate agent. You’ve taken classes, you’ve downloaded marketing materials, you’ve read all the best practices and technically you know what to do. Even more importantly, do you actually implement the things you’ve learned? On top of everything else you have to do as an agent, making sure your marketing is up to par is often the last thing on your mind. Especially when you consider the fact that while marketing basics remain the same, technology is constantly changing. Social media is constantly changing. The way business is done is constantly changing. And you’re expected to keep up! So, while forgetting (or neglecting) the core elements that make for effective marketing is understandable, it still won’t allow you to grow your business. And Pipeline ROI wants your business to grow! That’s why we’ve put together a list of six real estate marketing basics you’ve probably forgotten, so you can bring them back into the forefront and take your business to the next level. Time for your refresher course. Everyone loves referral business. But, are you putting in the work to take advantage of it? While I’m sure you’re receiving clients here and there from satisfied former customers, actually dedicating a portion of your marketing power to it can make a substantial difference in your income. 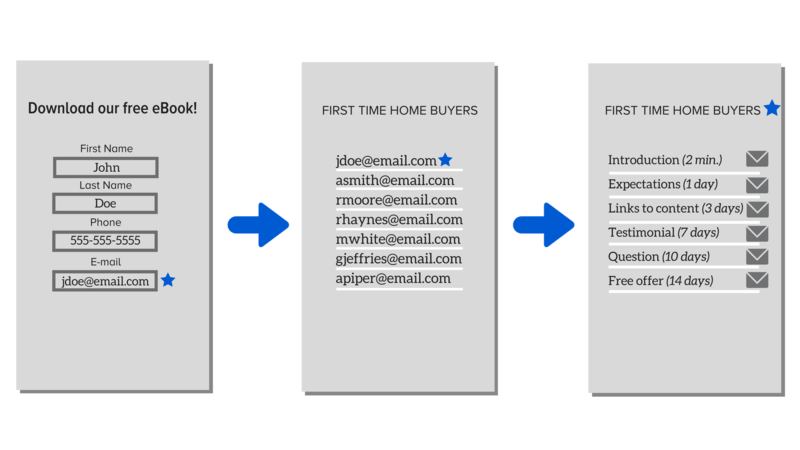 Set up a drip e-mail campaign specifically for past buyers and sellers reminding them about you and the services you provide. Occasionally checking in, seeing how they’re doing, or sending a holiday greeting can keep a relationship going that may otherwise have fizzled out. However, these e-mails should be few and far between, as you never want to annoy someone by flooding their inbox. Include in your campaign a message or two asking for referrals. Keep them casual in nature and never be pushy. Simply mention that you’re looking to grow your business and would love to work with more clients like them. Then, ask if they know anyone. It’s a good start to a conversation and will hopefully illicit responses from those with interested personal contacts in mind. Need more help asking for referrals? Here’s an eBook we put together on the subject. The temptation to send out hundreds, if not thousands of e-mails at once so that you might get a few responses back can be strong. Especially when website visits are low or you’re not hearing from your leads as often as you’d like. Not only is this bad for your domain reputation (meaning your messages will be automatically marked as SPAM and never see the light of day), it’s annoying to the people your message does happen to reach. And if you’re annoying people, you’re not helping them. And if you’re not helping them, they’re not going to want to work with you. E-mail the people who have asked to be e-mailed by you. And send them the things they’ve asked to be sent. Sure, a generic monthly newsletter is fine in a pinch, but truly catering your content to each segment of your audience will make a world of difference when it comes to engagement. Forms on your site can help you organize your audience by the content they’re interested in, which allows you to send only the messages that matter most to them. If you want to learn more about segmenting your audiences for smarter lead follow-up (along with automating the whole process), check out our webinar on that very subject. If you’re a real estate agent who actually enjoys blogging, congratulations. You’re a member of a very, very small group of individuals that won’t despise and ignore this aspect of their marketing. If this doesn’t describe you, I hate to be the one to tell you, but you’re going to have to do it anyway. You’re going to have to write. It’s great for your SEO and even better for your website visitors. Sharing your unique perspective on your community and what makes it special shows that you’re in touch and you care. More importantly, it gives buyers the sense you’ll be able to help find them the perfect home in the area of their dreams. You can even skim through your inbox for commonly asked questions and turn those into even more helpful content for your site. Answering questions before they’ve even been asked is a sign of a professional. It shows you know what you’re doing. For more topics to use to jumpstart your blog, check out this post. You’ll find even more links there to help you along the way. Okay, so maybe you’ve been in real estate longer than social media has been a factor. Whichever the case, the fact remains that mediums like Facebook, Instagram, Snapchat, etc. are now major players in the real estate game. It only makes sense. That’s where the people are. All day, every day, young and old alike are glued to their phone screens thumbing through page-after-page of content. Photos, videos, full-length news articles, you name it, it’s there. That means you have to be there, too. 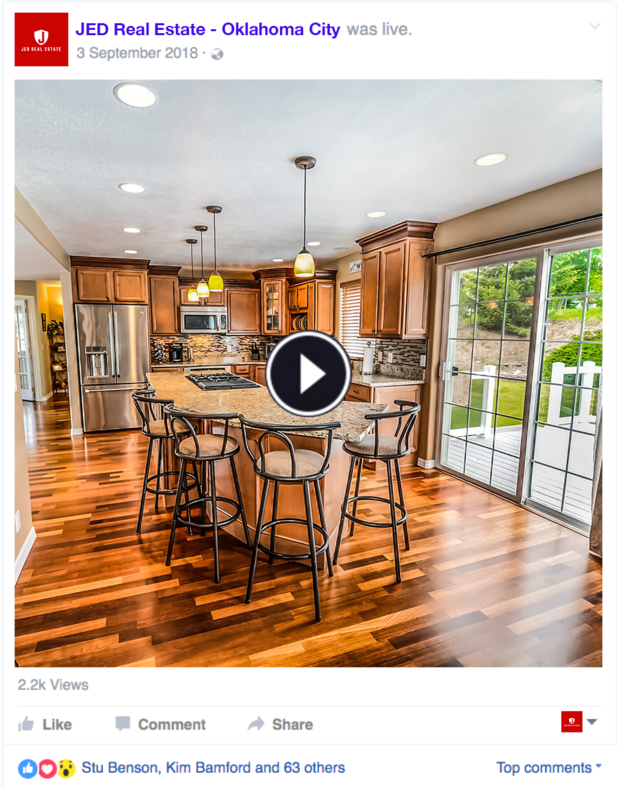 With so many features easily translated into real estate marketing (like Instagram Live, Snapchat Stories, Facebook Live, and more), your potential customers are going to expect you to keep up with the platforms they care about. If you’re not sure where to get started, find someone in your local community who does “live” social media well. Take notes as to how they feature their homes and market their services. Then, come up with a few new ideas. Make it your own and make it better! Beware the dangers of copycat marketing. Sharing the reviews of satisfied former customers can be a major boost when it comes to showcasing your skills as a real estate pro. In order to have any to share, it’s important to know how to ask. This can be done via your drip campaigns, as we mentioned earlier, but your first opportunity to ask is actually the closing table. Ask your happiest buyers and sellers for a photo at on closing day. 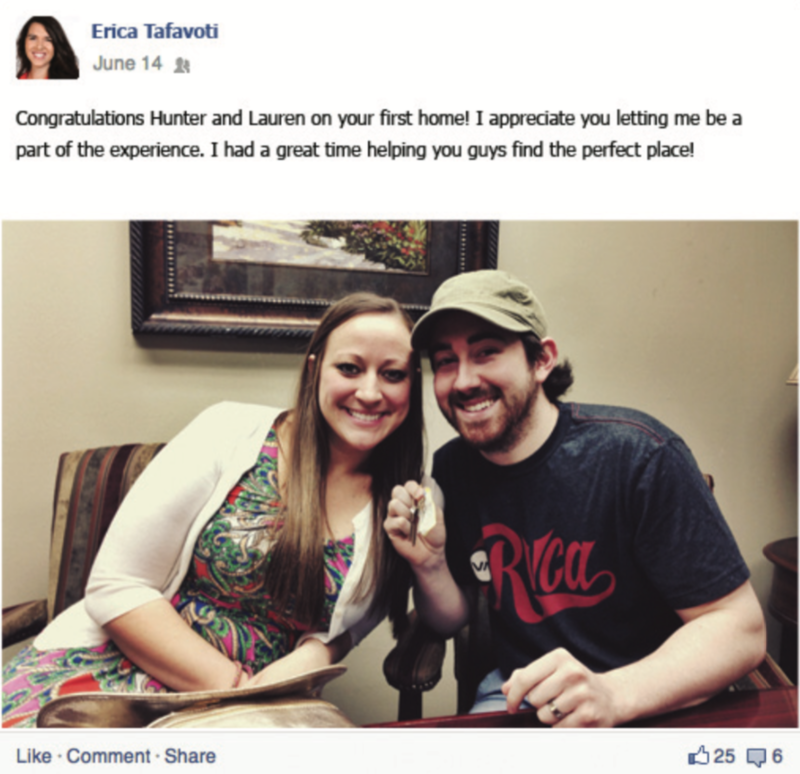 Big smiles, keys in hands, heartwarming stories, and adorable couples all make for fantastic testimonials. They even make shareable social posts, which expands your reach to friends and family while making for an easy way to share exciting news for them. Smart phones are a major part of life for just about everyone these days. Our mornings begin with a screen and our nights end the same way. Scrolling through newsfeed after newsfeed and browsing website after website becomes almost mindless. It’s how we pass the time. It practically goes without saying that your website has to cater to that new normal in order to be taken seriously. When a modern buyer visits your site, they expect to be able to view it just as seamlessly as they do on a computer. To check your website’s mobile-friendliness, check out Google’s Mobile-Friendly Test. You get a report on your site’s compatibility, along with a screenshot of what your mobile visitors see on their screen. If you’re not happy with what you see, it’s time for a tune-up. 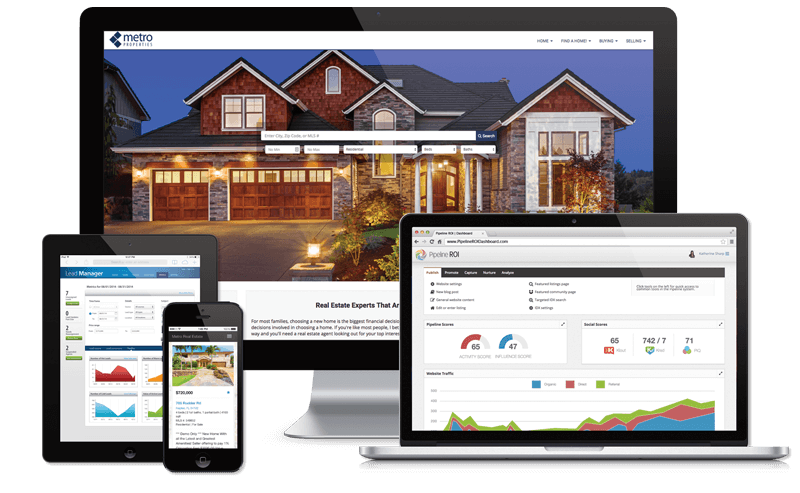 Click here to check out Pipeline ROI’s mobile-responsive web themes. 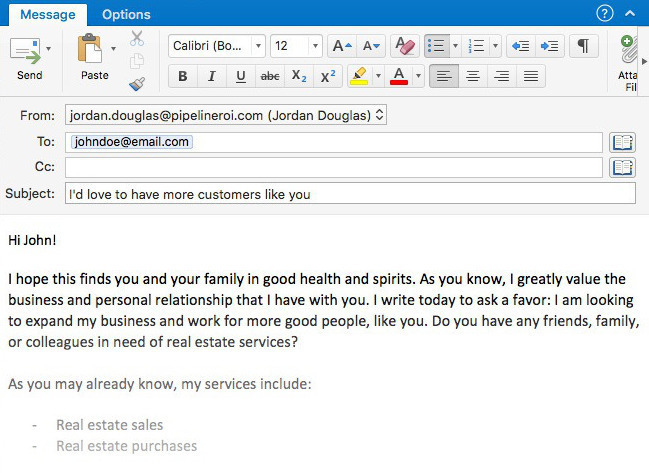 When you find one you like, request a demo to talk with a salesperson about what makes it all work. As we enter the slower season, the time is right for you to take a step back and re-evaluate your real estate marketing. No matter how far you’ve strayed, it’s never too late to bring back the basics you’ve learned along the way and implement them into your business. From smarter follow-up to live social media, a helpful blog, and more, you’ll be surprised just how simple it is to school your competition.